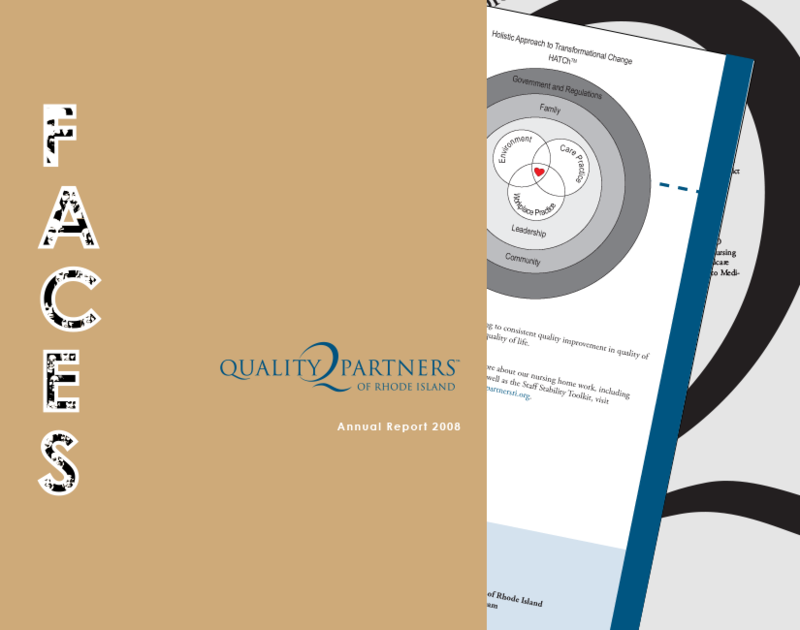 “Faces” was the theme for the organizations 2008 Annual Report. The report highlighted successes of key projects along with the projects’ project managers. 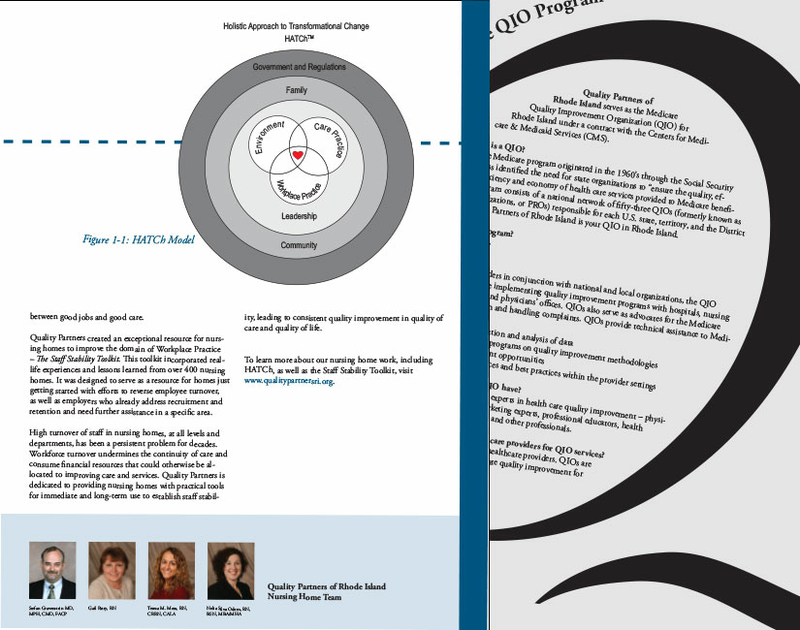 Stories included the HATCh model, a description of Medicare’s quality improvement organization program and a CD (insert in the back cover).